Today was a good day. I made a cake. It’s been ages since I last did any baking. It’s something I tend to go through phases with. A while back I was making cakes at least once a week. Then I got a bit bored with the effort of icing, the new baking powder I bought had a strange effect on my normal sponge recipe, and I ran out of consumers (no one in my house can afford to eat quantities of fattening treats). But today a good friend of mine (a self-confessed chocaholic) needed cheering up. So I got out my recipe book , turned to the section headed “Chocolate” and came up with this little beauty – Chocolate Mallow Cake. Best of all, I had all the ingredients in my cupboard already. That pleased me enormously. Not because I couldn’t be bothered to go to the shops, but because having a well-stocked larder makes me feel like a proper homemaker. Which could be why I have seven different sorts of flour in my kitchen cupboard, and almost as many types of sugar. And luckily, hiding in amongst them was today’s crucial bag of marshmallows. 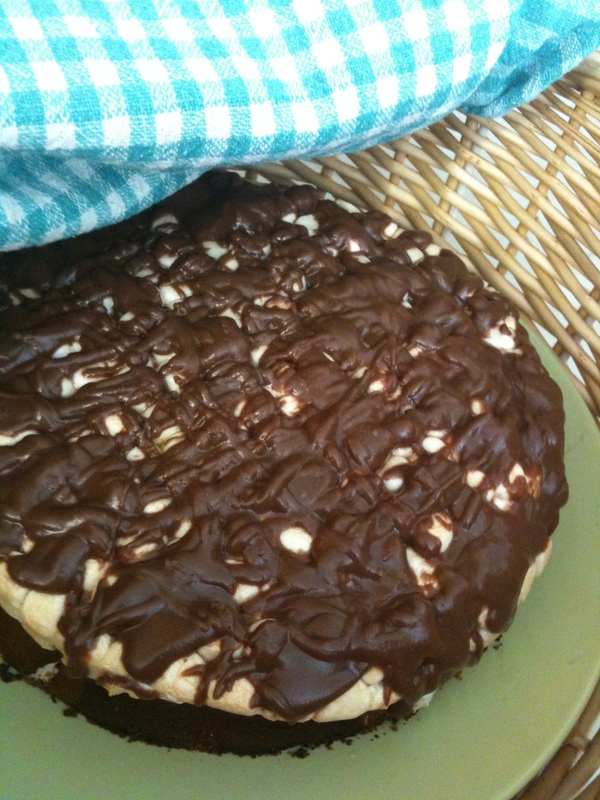 The cake was pretty easy and quick to make, although the marshmallow topping proved to be rather a labour of love. 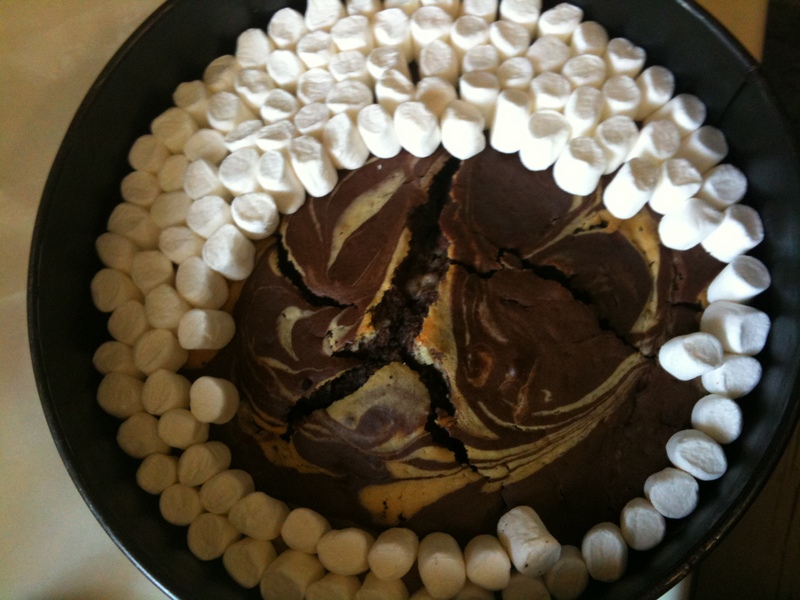 I will probably make this again. It was simple enough to put together, impressive to look at and delicious to eat, with a fudgy texture which was enhanced by the sweet chewiness of the topping. My friend enjoyed eating it, and I enjoyed making it. And I carried it to her house in a wicker basket, covered by a gingham cloth – which made both of us smile. Next > Making Notes: A Load of Balls!